Skip the maple syrup! 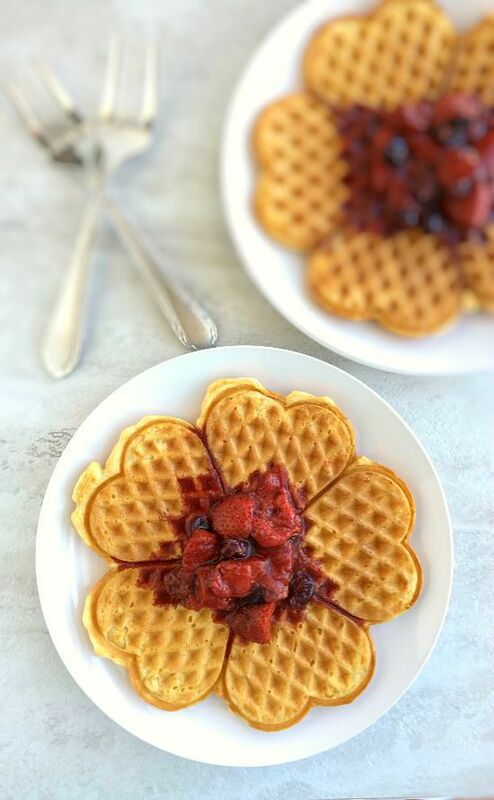 This Berry Compote is easy to make and is a delicious topping for pancakes or waffles! Of course, you don’t have to limit yourself to putting this on just waffles and pancakes. You can stir some into your oatmeal or plain yogurt. Pour a little on top of some ice cream or frozen yogurt. The choice is all yours. Me? I went with some homemade Einkorn waffles. Mouthwateringly good! 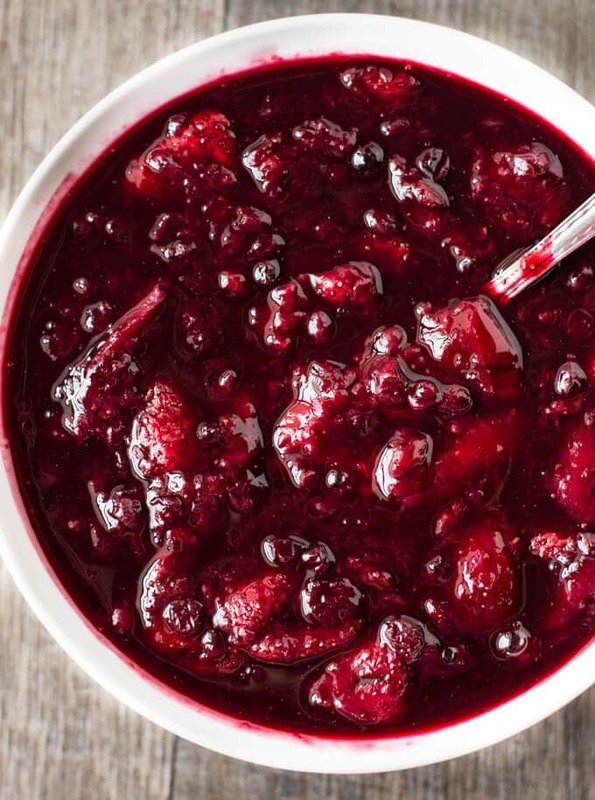 Save this Berry Compote Recipe to your “Breakfast” Pinterest board! 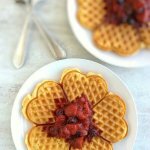 This easy Berry Compote is naturally sweetened and makes a great topping for waffles, pancakes or oatmeal! In a 2 qt. sauce pan, add the strawberries, blueberries, lemon juice and coconut sugar and stir together. Heat over medium heat until it starts to bubble, then lightly mash the fruit and stir. Lower heat to medium low and let cook, occasionally mashing the fruit with the back of a spoon, for 10-12 minutes. 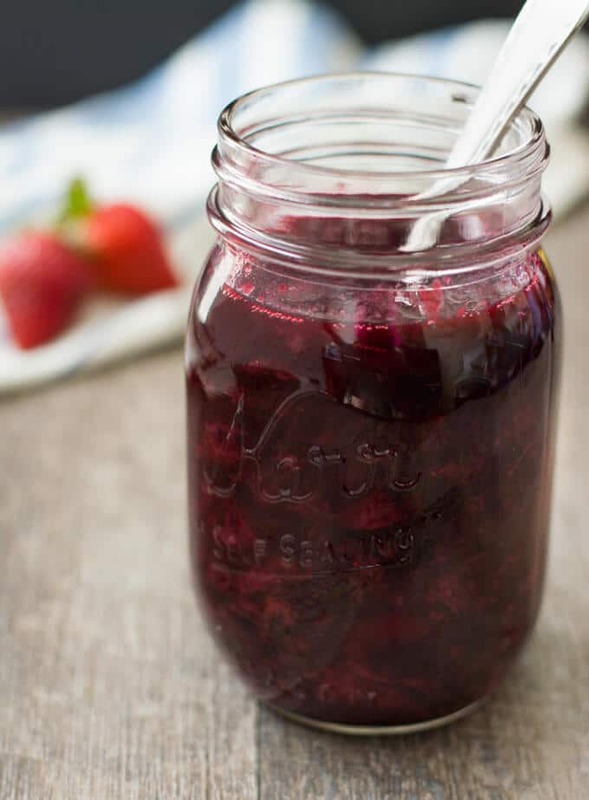 Serve immediately, or place into a clean jar or container, let cool and place into the fridge. Reheat before serving. Regular cane sugar can be substituted at a 1:1 ratio for the coconut palm sugar. By Tempie at November 19, 2018 . Don’t you love the fresh berries this time of year in the kitchen? They make everyone happy so easily. But in this case you did work hard making those ‘clean’ waffles too. Your husband is a lucky man! Fresh berries are awesome this time of year! Really trying to take advantage of them this Summer!